In reading her website, Nnedi Okorafor is a novelist of African-based science fiction, fantasy and magical realism for both children and adults. Born in the United States to Nigerian immigrant parents, Nnedi is known for weaving African culture into creative evocative settings and memorable characters. In a profile of Nnedi’s work titled, “Weapons of Mass Creation”, the New York Times called Nnedi’s imagination “stunning”. 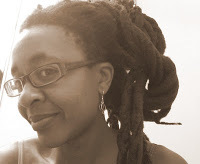 Nnedi Okorafor’s novels include Who Fears Death (winner of the World Fantasy Award for Best Novel and Le Prix Imaginales for Best Translated Novel), Akata Witch (an Amazon.com Best Book of the Year), Zahrah the Windseeker (winner of the Wole Soyinka Prize for African Literature), and The Shadow Speaker (winner of the CBS Parallax Award). Her latest releases include her short story collection Kabu Kabu (A Publisher’s Weekly Best Book for Fall 2013) and science fiction novel Lagoon (finalist for Best Novel in the British Science Fiction Association award for Best Novel and a Red Tentacle Award for Best Novel). 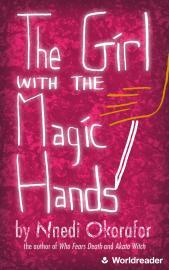 In addition, her novelette, “The Girl with the Magic Hands” was released through Amazon.com’s Worldreader program , where it became their most read young adult title (read by thousands in Africa). Her adult novel The Book of Phoenix was released in 2015 and her young adult novel Akata Witch 2: Akata Warrior will be released in Fall 2016. 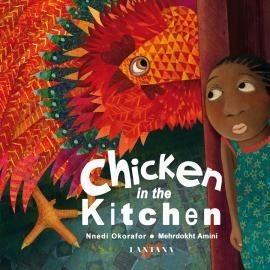 In September 2015, Lantana Publishing released her children’s book Chicken in the Kitchen and Tor.com released her space opera novella Binti to much critical acclaim. Nnedi’s novels Who Fears Death and Akata Witch have both been optioned for films. 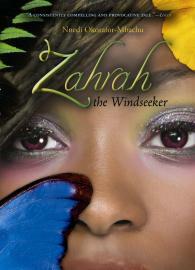 A producer is also currently writing a screenplay for her novel Zahrah the Windseeker. 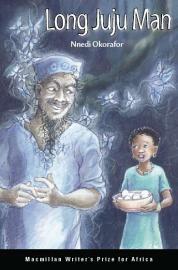 In addition, Nnedi’s screenplay Wrapped in Magic was filmed and produced in Nigeria in 2011 by award-winning Nollywood film director, Tchidi Chikere. Nnedi Okorafor is currently working with Kenyan director Wanuri Kahiu (Pumzi) on developing their feature film Camel Racer with Triggerfish Animation Studios (South Africa). 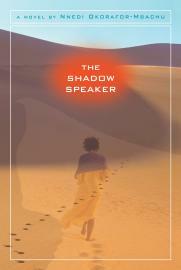 Nnedi has had several short stories publishing in anthologies, magazine as journals. Several are available online. Nnedi earned her BA in Rhetoric from the University of Illinois, C-U. Her MA in journalism from Michigan State University. And her MA and PhD in English at the University of Illinois , Chicago. She is also a graduate of the Clarion Science Fiction and Fantasy Writers’ Workshop (2001). She is a professor of creative writing and literature at the University of Buffalo. You can also find Nnedi on twitter (@Nnedi) and facebook. Thank you, Nnedi, for your contributions to children’s literature! Oooh! Good to know there’s a sequel to AKATA WITCH! Excellent write up. I haven’t read much of her work for younger readers, unfortunately. I’m very excited about reading “Binti” however. So glad she was nominated for the Nebula Awards.